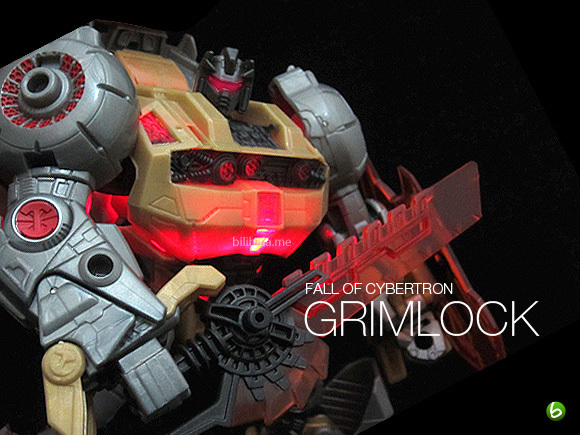 Probably the most anticipated release since last year, the Fall of Cybertron Grimlock has finally landed in Bilibala’s Hobbies. 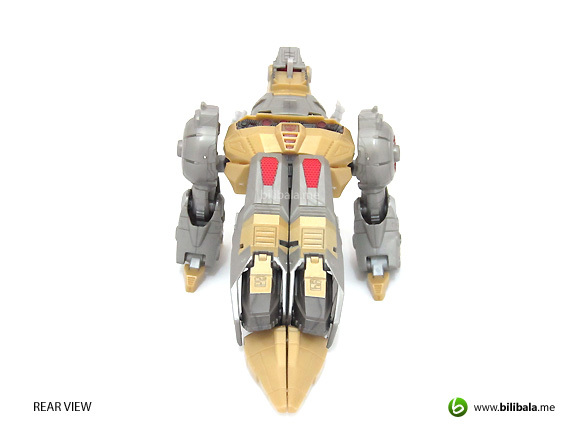 Though it was an exciting news since launch, it proves to be a great disappointment knowing that Malaysia Hasbro won’t be bringing in this piece officially. No like for the king? I bet. Thanks to a fellow collector friend, JW, who has burrowed his way in helping me getting a piece for review. Well, despite the hype of having the new king, it somehow poses a love and hate dilemma for the possession of him. 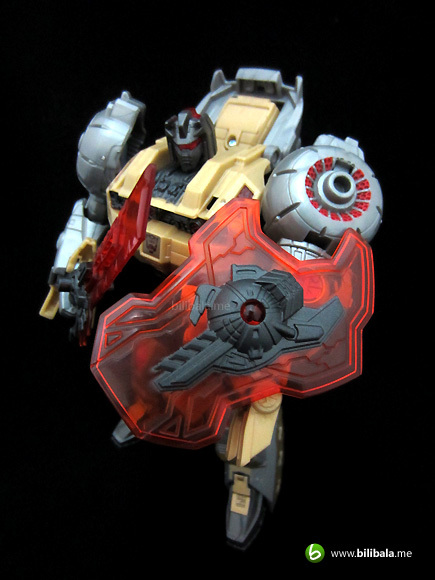 Simply there’s a bunch of downsides of this new mold one couldn’t avoid but just sighing. 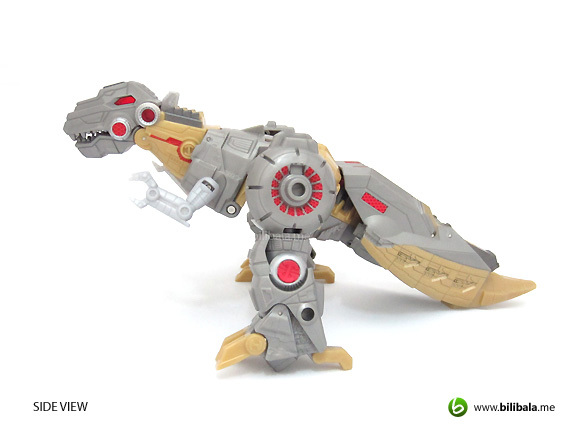 Find out more after the break and you be the judge whether to have him still crowned as the new king of Dinobots in your collection. 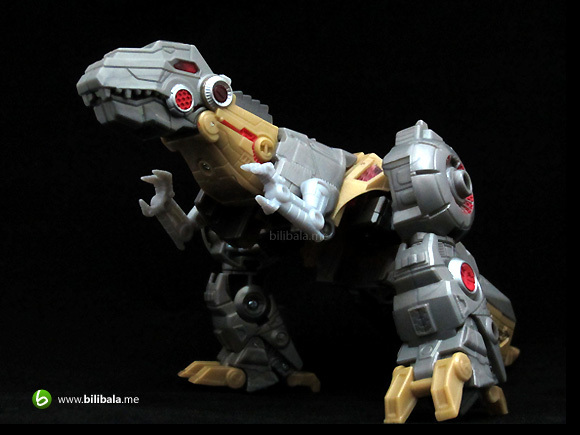 What’s good is it if Grimlock is not his old self, the vicious Tyrannosaurus Rex? 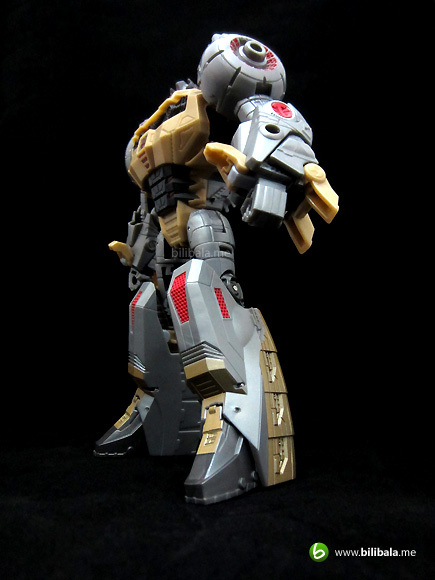 Well, welcome back the king in his all new mold. 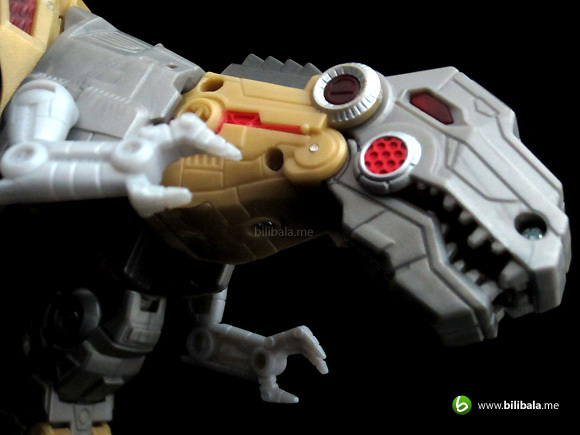 Despite being new, the T-rex still spice with color treatments that commemorate to the G1: the yellow, grey, silver and red. 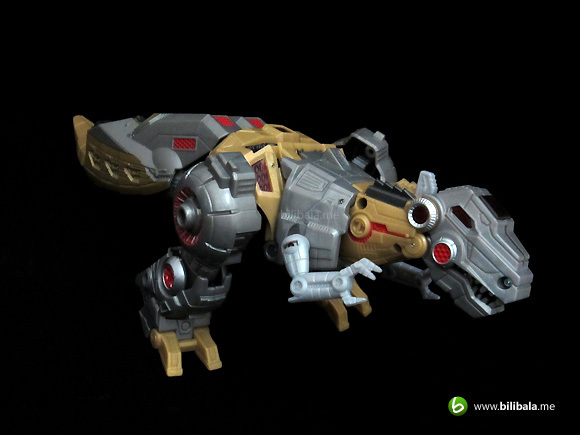 Maybe Grimlock doesn’t like to be painted and that’s why there is very minimal paintwork being done to highlight the details. Paintwork can only be seen in parts like the red circular part depicting a joint. 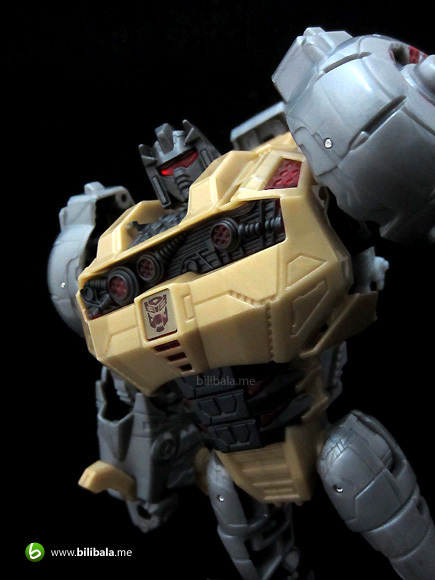 Most of them remained in their dark grey and yellow plastic nature. With that being said, the yellow part doesn’t seem to be as vibrant as the original marketing picture is. In fact, they appear in a washed out and dull yellow color which looks like cereal colors on your plate. 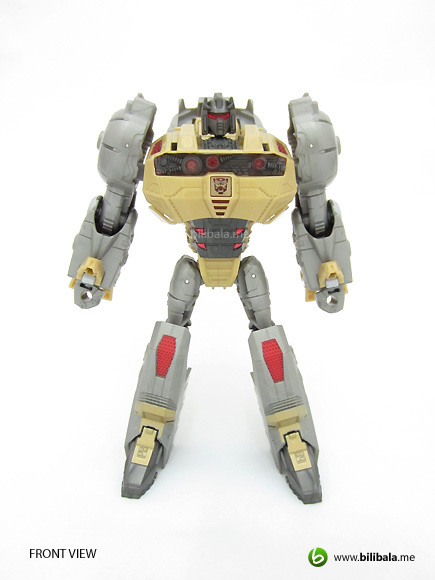 By that, we do hope a much more nicely painted version to be released by Takara Tomy soon (with the higher expectation of the price of course!). 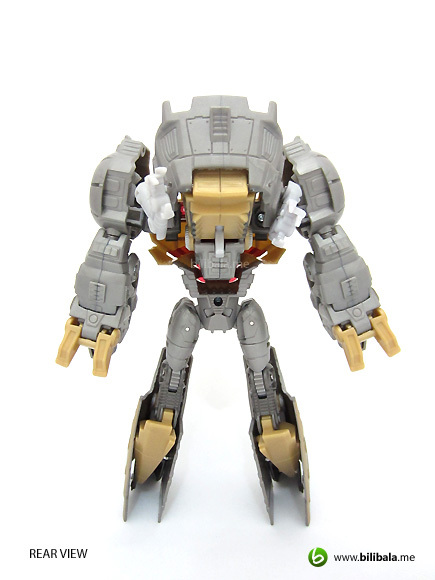 You will have the extra smaller limbs for him in the alt mode but sadly there is no extra articulation. 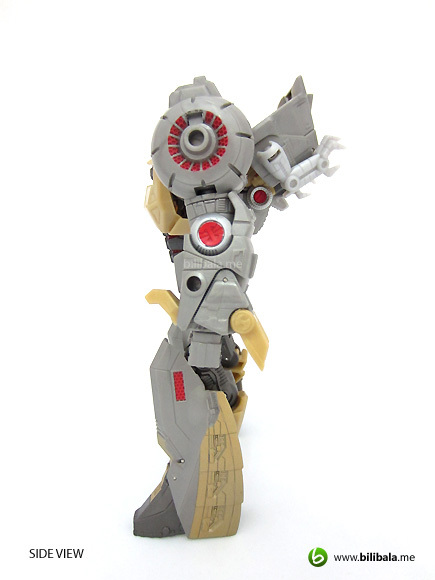 Pretty much a still limb stuck on a ball joint for very limited movement. A T-rex tadpole? 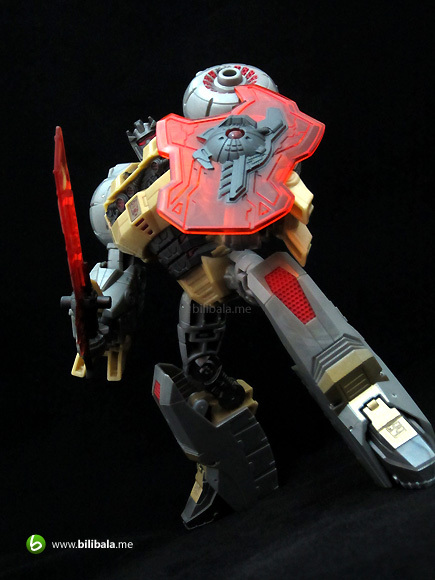 It sure looks like one to me with the bulky and overwhelming tail piece. What impresses me is the amount of detail it has. Linings here and there and different color combination being used to bring out those smaller forgotten parts of a dull plastic. A severe disastrous design of him: the missing tummy of the king and what’s leftover is just the hollow space in between. A part which most of us will definitely go WTH. 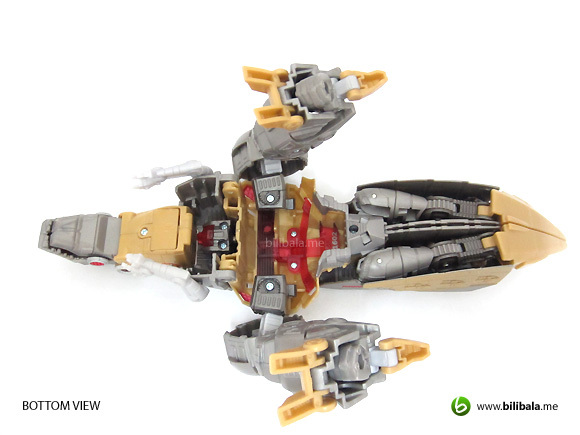 It is a give and take situation knowing the hollow space is needed to light up the front piece in robot mode. It’s a spoil sight for a great design nonetheless. The thickness of the tail is actually contributed by the 2 robot legs joining together. Another inevitable point for a bad mold. 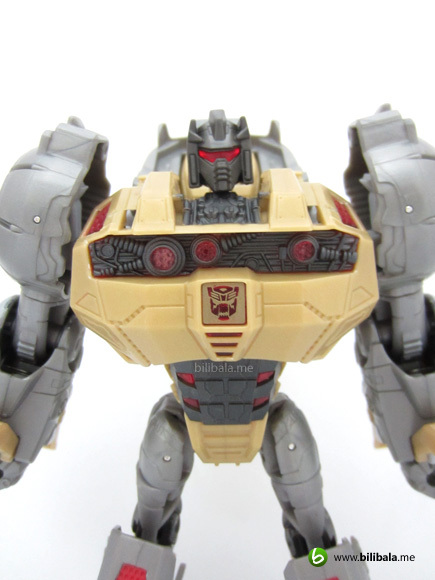 Unlike other Transformers toys I have, Grimlock here is the first to showcase 2 different Autobot insignias: one being on the top of his head (Autobot) and the other one located before the tail (A variant of the Autobot insignia, it’s the Lightning Strike Coalition insignia). 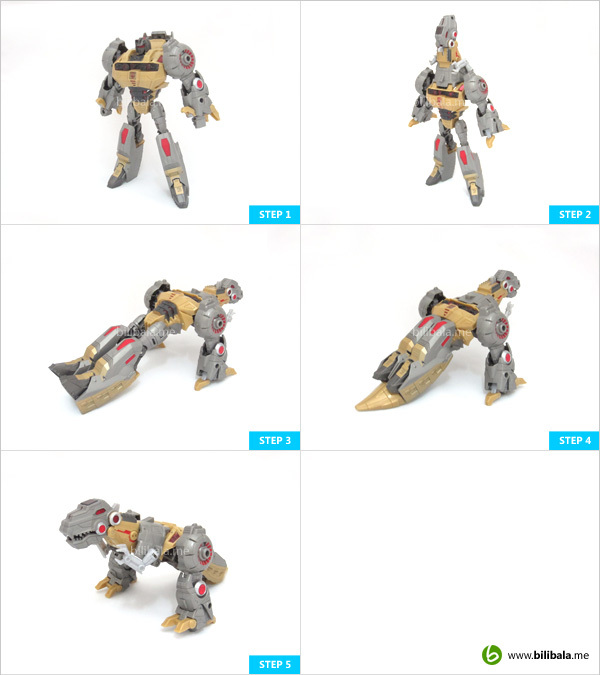 Grimlock robot mode poses accurate capture of the in-game design with cool looking appearance. 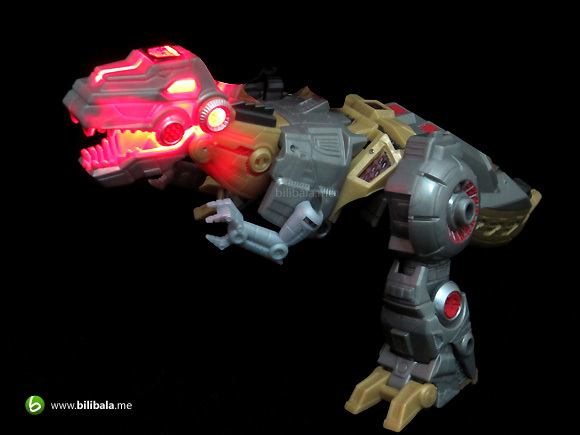 The only back kibble you will see is the dino head which is being stuck into the back of him. This also fills up the hollowness of the robot back and in the meantime to provide lighting support to the chest piece (more detail in gimmick section). A closer view on the head piece. He appears in red light piped. Chest details are nicely done with some light piped “circuit” parts as well and the Lightning Strike Coalition insignia clearly embeded. All these appear in red translucent plastic which allow light to pass thru easily. 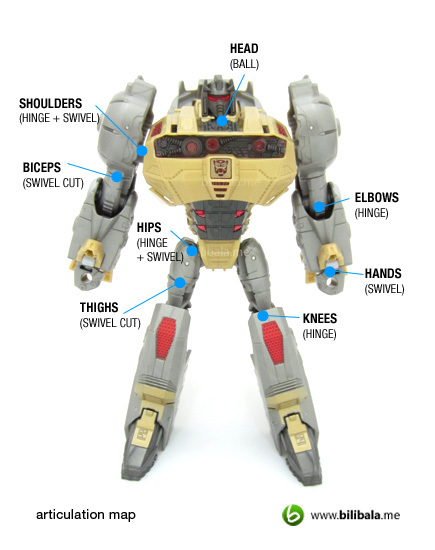 Articulation is quite standard with a missing waist and a limited head ball joint. 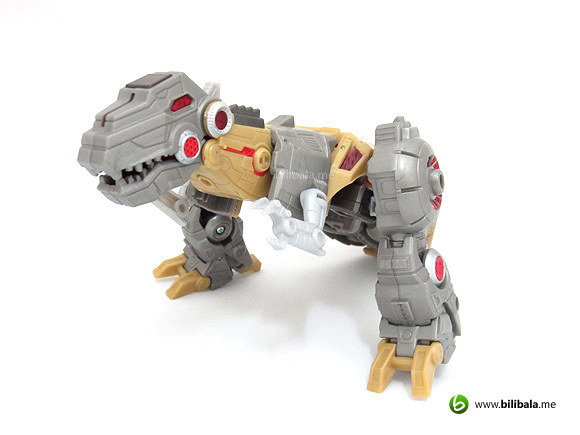 Another big letdown of this version of Grimlock is the transformation. 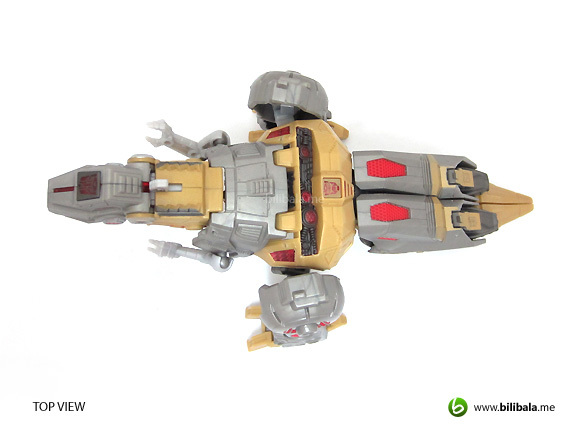 Simply put this is a voyager class with a legend class transformation. The process is a no brainer and simply straightforward. Who wouldn’t say no to a king? He still pose a game accurate design despite being how hollow some points are. 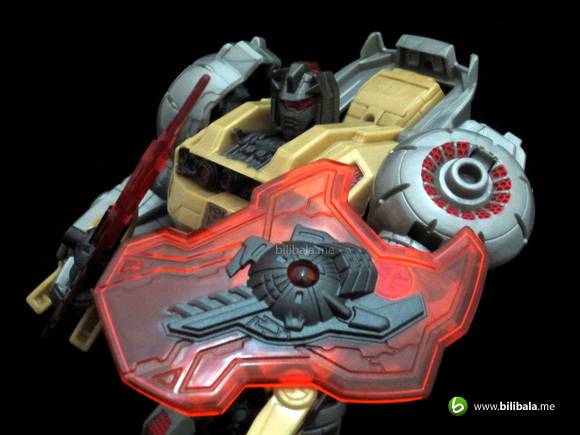 The lighting gimmick is very intuitive but however, do have much lower expectation on the transformation as it has proven to be a disappointment for such a nice design. 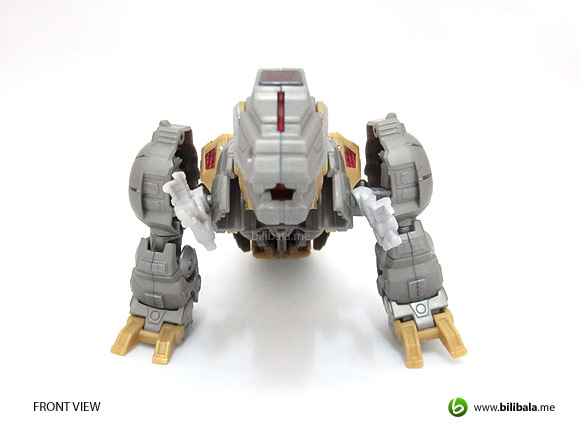 What I like – Nice design of robot mode; lighting up gimmicks; details for both modes. 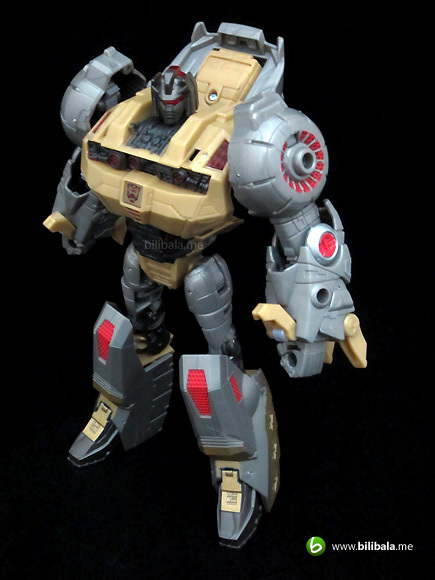 What I dislike?– Hollowness; too simple transformation for a voyager class; “incomplete” alt mode (with the missing belly). it's really demm sad hasblow dont bring in! hate them!! !